This could be a serious step forward for Nissan, let’s just hope it becomes reality. Like a master procrastinator, Nissan enjoys waiting until the last possible moment to refresh its cars. 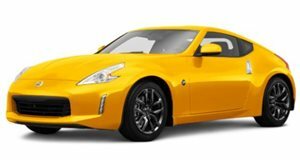 We’ve criticized the automaker for letting the Frontier and 370Z go stale while we patiently await replacements, but thanks to a new report by Car and Driver, we now know that the 370Z will soon see its successor show itself at the upcoming Tokyo Auto Show. Not only will it be all-new, but it’ll be better than ever and give a good reason to not spend our money at the Infiniti dealership. Nissan will refresh the coupe with edgier looks by donating the 2017 GT-R’s front end to the smaller coupe. If lady luck is with us, it’ll feature a styling language similar to that of the Infiniti Q60. Speaking of the Q60, the next generation 370Z will utilize the luxury coupe’s FR-L platform, forcing engineers to work with a shorter wheelbase. Also coming from the Q60 family will be the magnificent 3.0-liter twin turbo engine which, like the Infiniti, will come in 300 horsepower and 400 horsepower flavors and be mated to a seven-speed dual clutch gearbox. As Car and Driver notes, a star platform and massive amounts of horsepower could elevate the 370Z to the performance status of the BMW M2 or Porsche 718 Boxster S.
It doesn’t end there though because hybrid technology could come into the picture. With a 160 horsepower electric motor slated to be mated to the 3.0-liter turbocharged engine and the dual clutch gearbox, the 370Z could make upwards of 500 horsepower, rendering aftermarket performance upgrades redundant. Expect base trims to start around $30,000 with the 400 horsepower variant to come in at the $50,000 mark, undercutting the Q60 400 by only $10,000. We’ve driven both the 300 horsepower Q60 as well as it’s 400 horsepower big brother and can attest to the power plant’s ability to shock and awe. Let’s just hope Nissan is not all talk about these power figures when it comes time to reveal the 370Z.